Dan joined the Renaissance Financial team to fulfill his dream of serving those around him and help provide a sense of security when it comes to preparing for their financial future. Prior to joining Renaissance, Dan worked as a financial services representative and in that role, saw the value of helping others. Now, after having been with the firm for nine years and with a strong group of experts in the firm, he is able to multiply the skills and services provided, translating to a quality of service that is unmatched. To him, the best part of the job is working with people to set up wholistic strategies. While he specializes in working with business owners, retirees, and young families, he enjoys educating people on the options available to them and working with them to create a strategy above anything else. 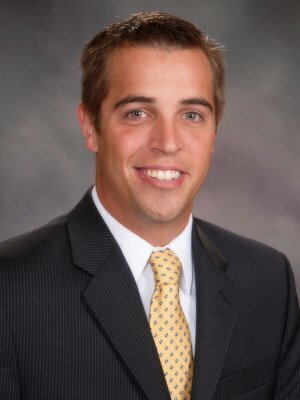 To prepare for a career in the financial services field, Dan attended the University of Nebraska-Omaha where he earned a degree in finance, banking and investments. He then went on to attain his Life, Accident, and Health Insurance Agent license, as well as his FINRA Series 7 and 66 registrations. Dan enjoys giving back to the city he calls home. He currently volunteers his time at the Nebraska Medical Center’s Pediatric Party, an annual holiday party for the children, and their families, who are hospital-bound each holiday season. Additionally, he gives back through participating in the Strike Out Hunger Campaign with the Food Bank for the Heartland and other various charities. In his free time, he enjoys activities requiring the outdoors such as sports and boating, and most of all Dan loves spending time with his wife and two children. Dan grew up in Omaha, NE and currently resides in West Omaha.